Did you hear about the hen that was banned from the internet for using fowl language? Sorry, couldn’t resist! The Atlantic article is the latest evidence of the growing concern consumers and businesses have regarding the use of email to exchange information containing sensitive data. And to add to the security issues, people are becoming increasingly weary of the ancillary problems email creates and the frustration they experience when they have little or no control over it. • “An email inbox is a reservoir of your own time managed by other people.”2People commonly keep thousands of unread emails with more piling up every day. Individual productivity is influenced by elements you can’t control. • Most internet research confirms that writing or sending emails does not generate anywhere near the stress as receiving them does. Something to think about when you send a valued client an invoice. • OpenPGP has been the most widely used email encryption program for email security. It has provided privacy and authentication for email data communication since 1991. The acronym PGP represents “Pretty Good Privacy.” Do you want “Pretty Good” to describe the technology that protects your computer systems from being hacked? The trend is heading back toward more reliable distribution methods led by consumers and innovations to print-to-mail technology. • A recent article published by The Federal Trade Commission (FTC) states that scammers are reusing a longstanding phishing attempt by posing as a familiar tech company and emailing you a fake invoice showing that you’ve recently bought music or apps from them.11 The email prompts you to click on a link if you did not authorize the purchase. Stop—do not click on the link! That’s just the new twist on an old scam. It’s just another a phishing attempt using fraudulent emails or texts, or copycat websites, to get you to share valuable personal information. The scammers then use that information to commit fraud or identity theft. 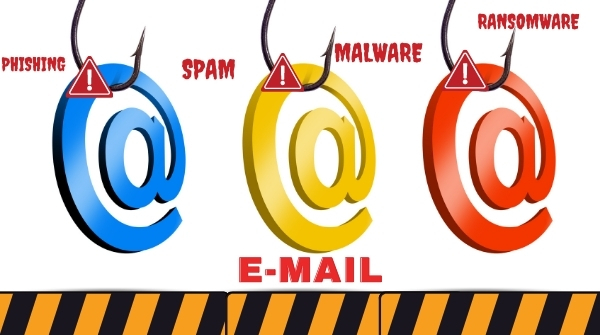 The internet thieves also use phishing emails to get access to your computer or network to install programs like ransomware that can lock you out of important files on your computer. What can business owners and operators do? Simple: Give ’em what they want. Bringing important issues like this to your attention may help your business to make more informed decisions, but clearly, all the burgeoning issues surrounding email usage today are too complex to be addressed by an article of any kind. But I’ll tell you what I can do. I can tell you without a doubt how to improve your business if your customers prefer to receive a secure and reliable paper invoice from you. Not to mention any other important document you need to send them. And in almost all cases, it will cut your internal mailing costs at least in half. How? It takes less than 3 minutes to upload your PDF files to DocuSend, and your documents are in the mail the next day. It doesn’t matter if it’s 5 invoices or 5,000—they mail within one (1) business day. No minimums—no contracts. Eighty cents for a one-page invoice. A few pennies more if you choose options like perforated paper or a return envelope. Thanks for taking the time to read this article, and I hope you found some useful information in it. As always, please share your comments. Your experiences could help other small businesses all across the United States. * The Atlantic -> Email Is Dangerous.